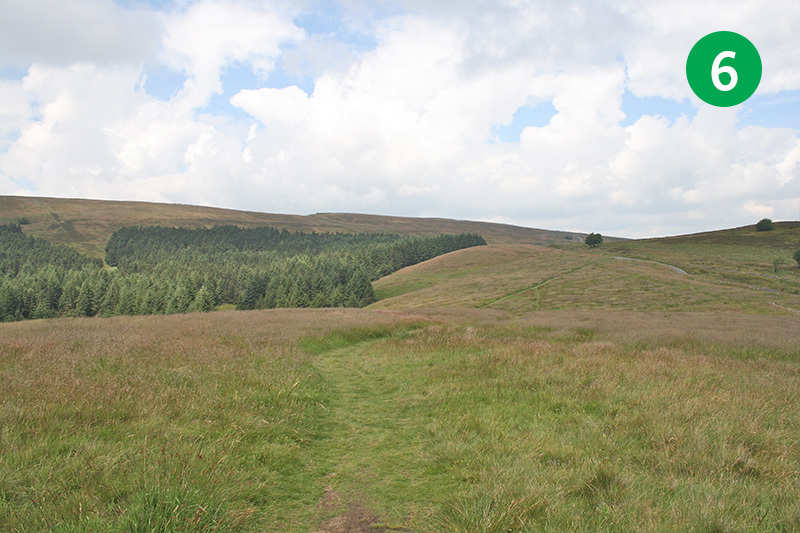 At about five miles, this walk from Errwood Reservoir up to Shining Tor is one of the longest in the series. 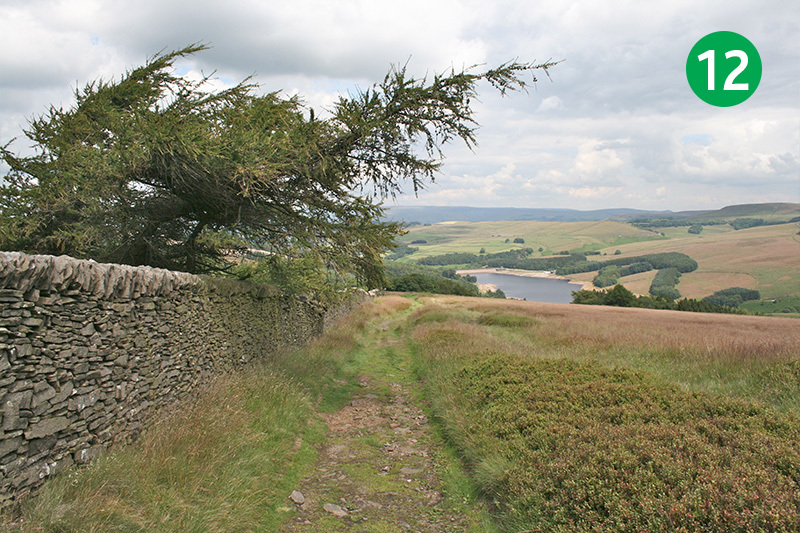 There are a few uphill slopes along the way, and a mile-long section across open moorland, but the rewards are some stunning panoramic views. 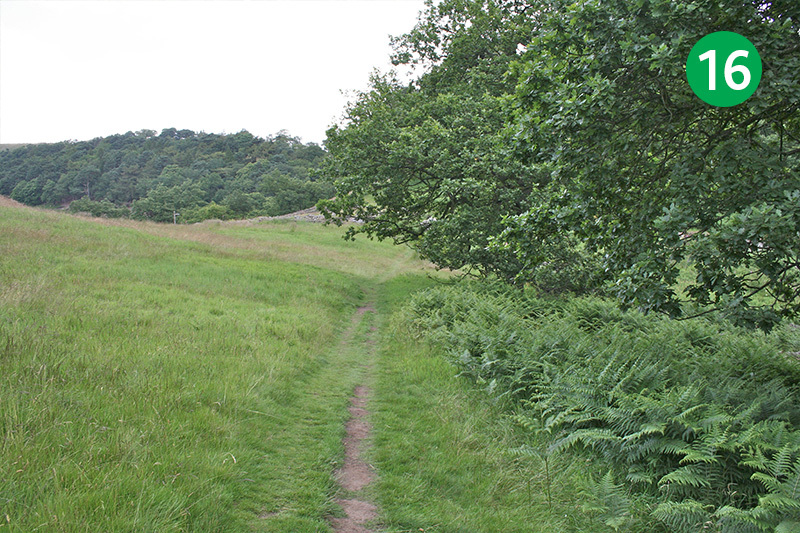 Parts of the walk can get muddy, so walking boots are recommended. 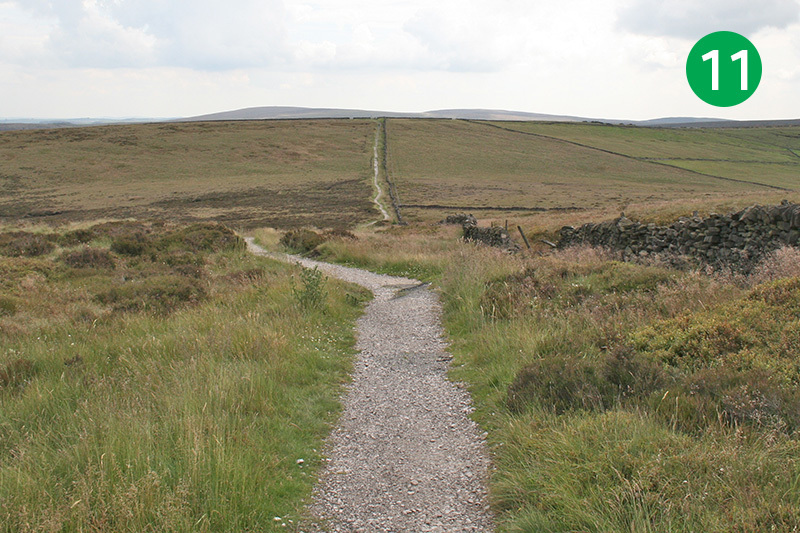 The path leads along Foxlow Edge, then a short distance along the old Roman road known as The Street, before heading along the ridge line towards Shining Tor. The path from the Tor leads all the way back to the reservoir, but I enjoy taking a detour along the small footpath down Shooter’s Clough, and on to the ruins of Errwood Hall. 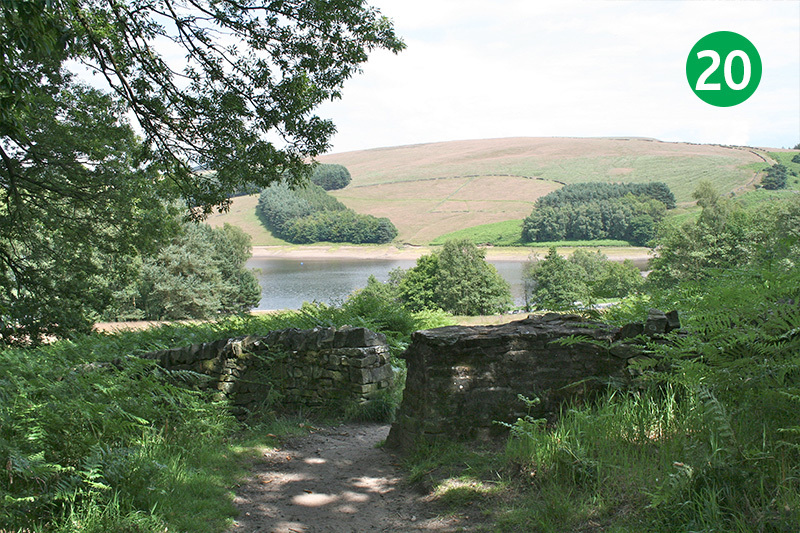 1: The walk starts from Errwood Hall car park, which is beside Errwood Reservoir. If the road is closed – which it is on bank holidays and Sundays between May and the end of September – park at one of the other car parks on either side of the dam wall, and walk to reach the starting point. 2: Head back over the modern bridge and turn left up the footpath, immediately after it. This bridge was built during the construction of the reservoir in the mid 1960s. 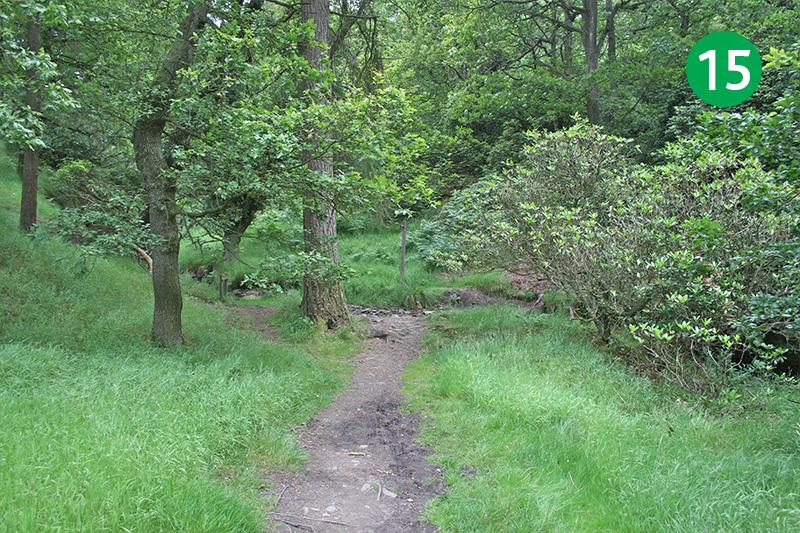 Before the valley was flooded, a small road ran along here which connected the drowned hamlet of Goyt’s Bridge with Errwood Hall. 3: Go past a footpath leading down the slope on your left. 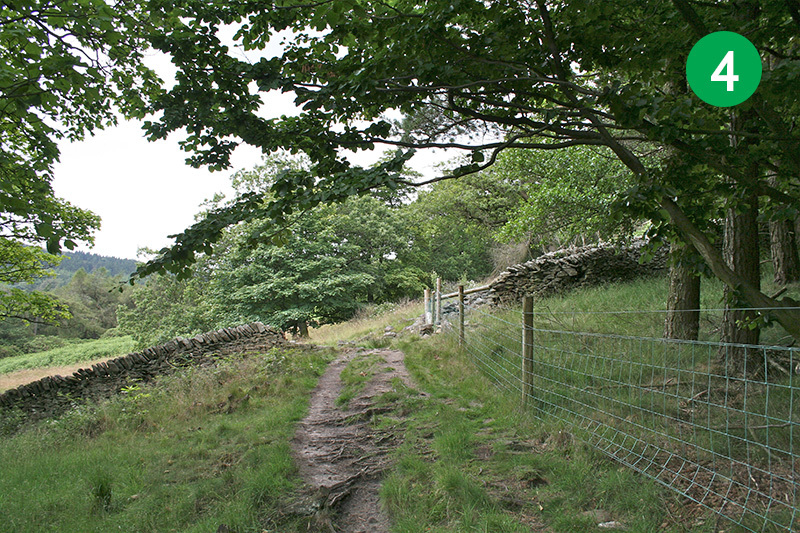 This leads down towards the ruins of Errwood Hall. 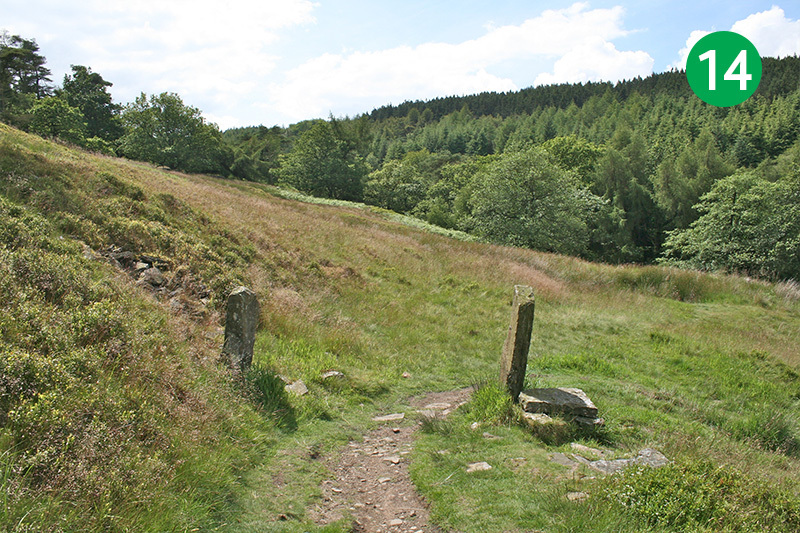 This walk takes a different route to the ruins, coming down from Shooter’s Clough on the opposite side of the valley. 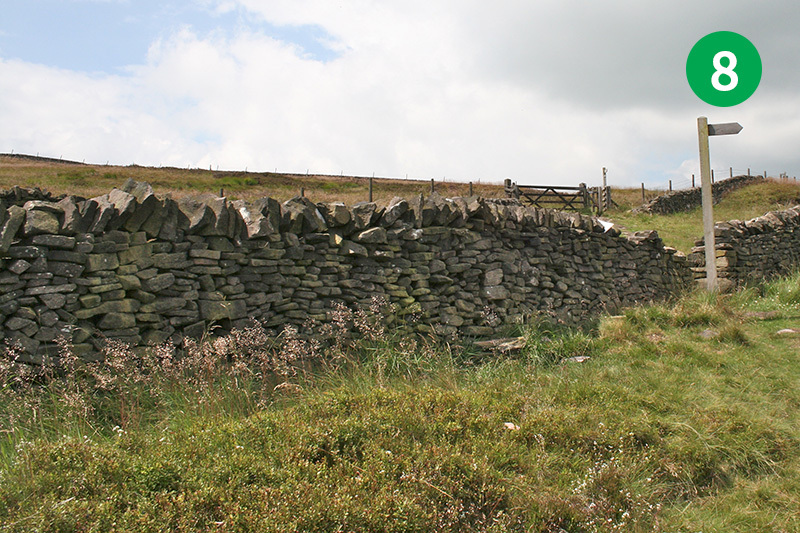 4: Keep straight ahead, passing through a gap in the stone wall, and continue up the slope with the stone wall on your left, all the way to the top of Foxow Edge. 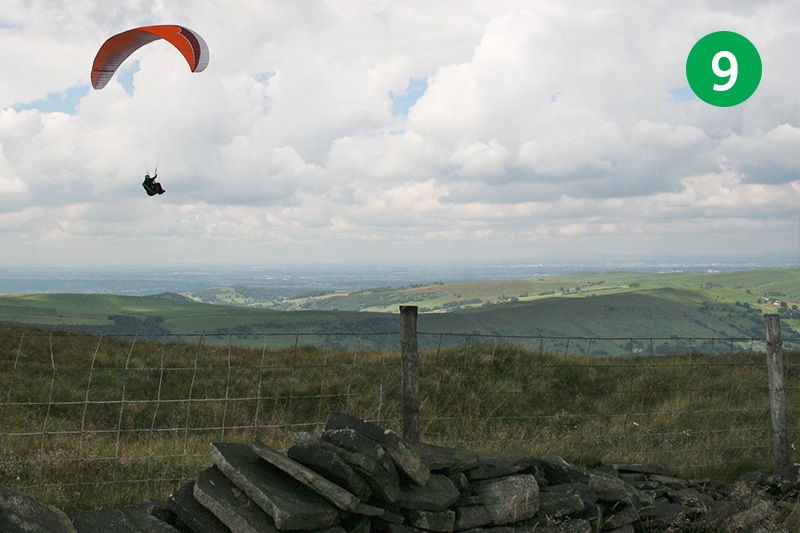 5: There are some wonderful panoramic views from the highest point, with Cheshire across to your right, and the High Peaks of Derbyshire to the left. From here, keep following the path straight ahead along the ridge. 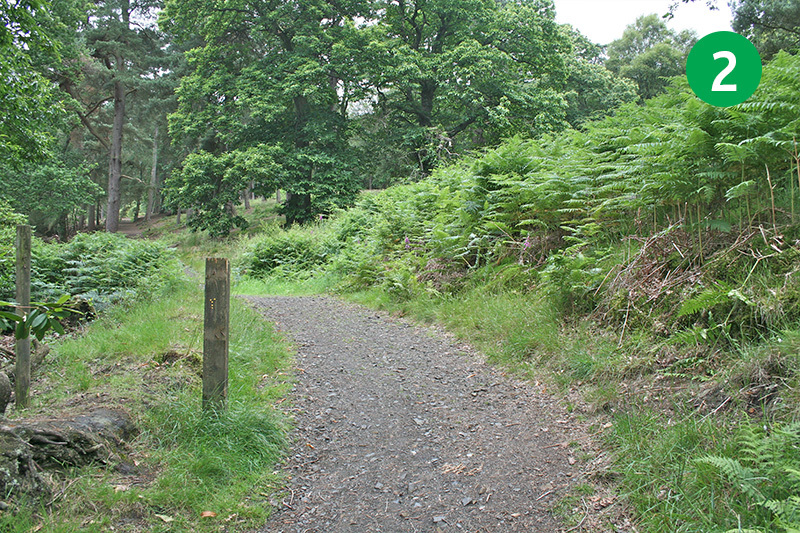 6: As the path slopes down, take the path that bears slightly right, towards a small wooden gate beside the road. 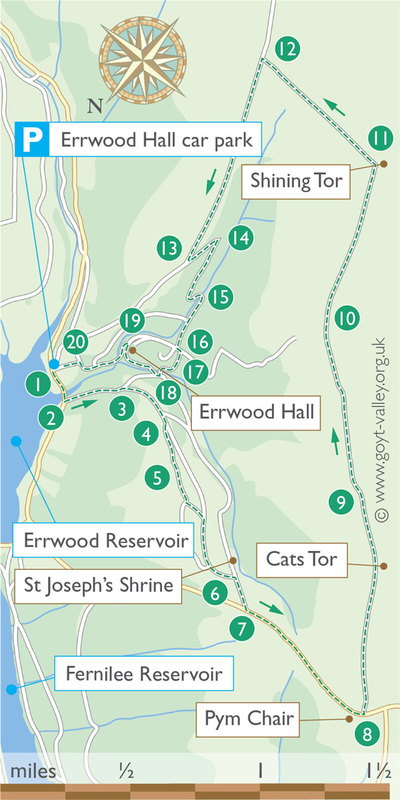 St Joseph’s Shrine lies in the valley to your left (see walk 4). To visit it, take the footpath at the foot of the slope which leads back to the left, and go down some steps a short distance further on your right. 7: To continue the walk, turn left along the narrow road (there’s a footpath to the right of it). 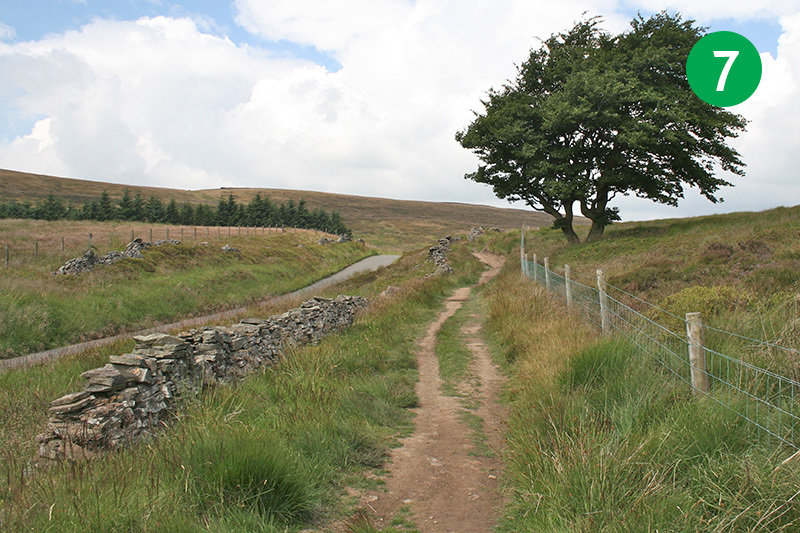 Known as The Street, this is an ancient Roman Road along which generations of traders carried their wares across these windswept moors. 8: After about half a mile, turn left across the road and go through a small gate. 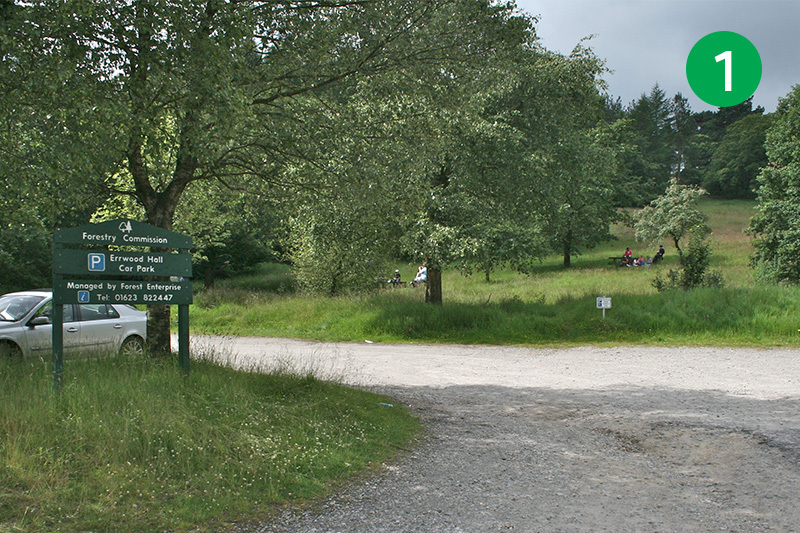 Pym Chair car park is just a few yards further up on the right and provides an alternative starting point for this walk. Head up the footpath, keeping the stone wall on your right. 9: The first highest point is Cats Tor. The winds that blow across here make it a popular spot for paragliders and I always enjoy watching them floating effortlessly across the fields below. Continue in the same direction along the ridge line, now walking on a stone path laid to protect the natural habitat from erosion caused by all those walking boots. 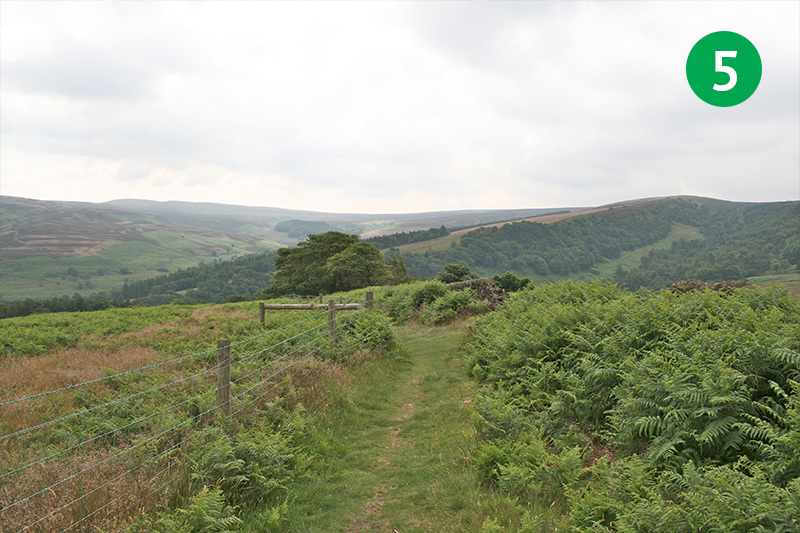 10: This mile long section of the walk across the bleak and windswept moorland is quite a contrast to the green and sheltered Goyt Valley. But it has a beauty all of its own – particularly if the weather is kind. After about a mile you come to Shining Tor, which is the highest point of the walk and a wonderful place to rest a while and take in the magnificent views. 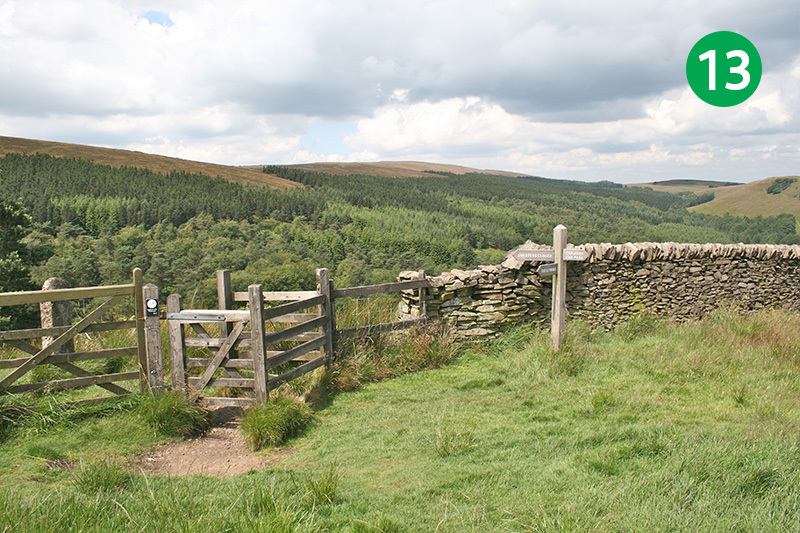 11: From Shining Tor, keep following the footpath as it heads to the left, keeping the stone wall to your right, util you can exit through a small gate. 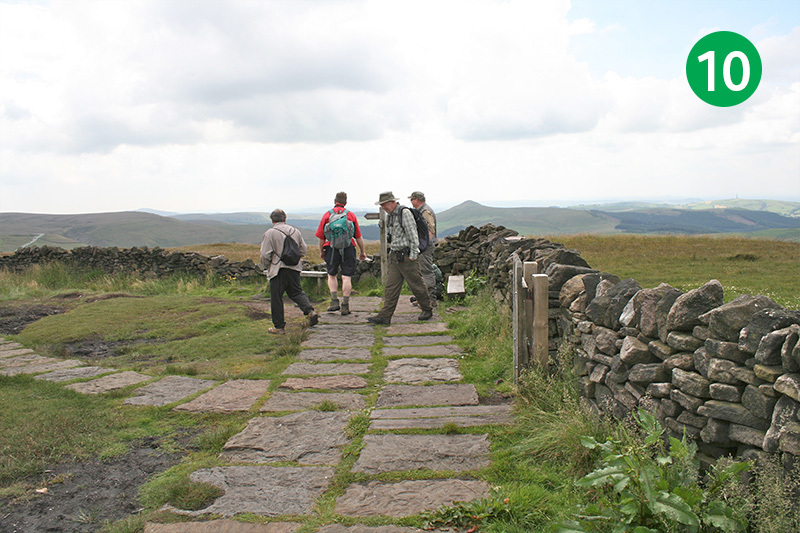 12: The path to the right will take you towards the Buxton to Macclesfield Road and the famous Cat & Fiddle pub. But to continue this walk, take the path on your left, down the hillside, keeping the stone wall to your left. Soon you will see Errwood Reservoir in the valley ahead. 13: Look out for a gate on your left beside a footpath sign. At this point you can keep walking in the same direction down the slope to return to the car park. 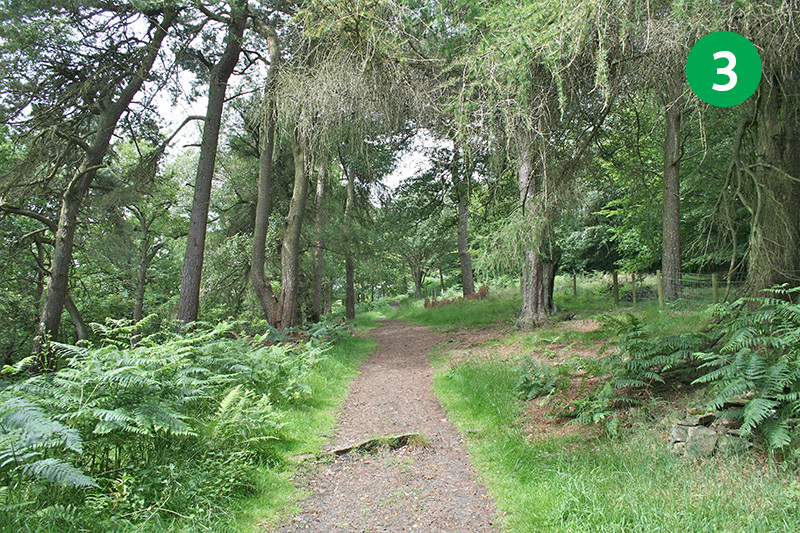 But to continue this walk, turn left through the gate and head down their picturesque path through the trees. 14: As you exit the path through a pair of stone gateposts, look out for a small pond straight ahead. This was once a ventilation shaft for Castedge Coal Mine (click for more information) and shows how extensive the workings were. Turn right and follow the path as it winds down the valley, ignoring another path half way down on the right. 15: Cross the small stream at the end of the slope and turn right along the narrow footpath. The stream is Shooter’s Clough. It’s difficult to imagine but it was flood waters running along here in 1930 which caused so much damage to the mine and eventually forced it to close. 16: As the path exits the trees, look out for some stone ruins to the right. 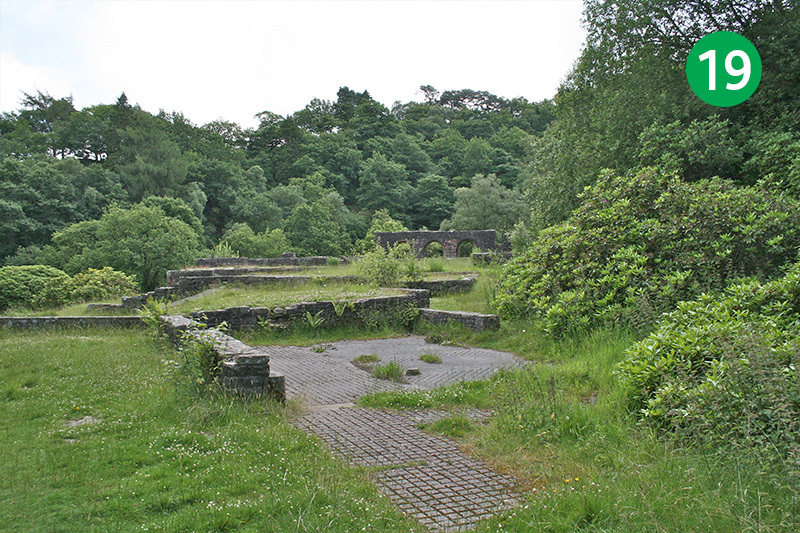 These are the remains of Shooters Clough Cottage which was once home to the Manager of the coal mine and his family. 17: The walls just a little further on the right once surrounded vegetable gardens which provided produce to Errwood Hall. And at the end of the path are the ruins of Castedge Farmhouse. All these buildings were destroyed in 1934 during the construction of Fernilee Reservoir. 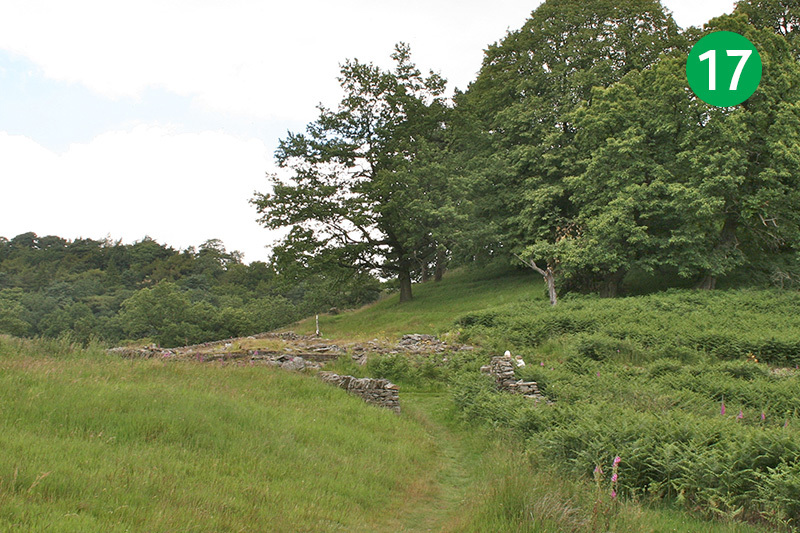 To continue the walk, go down the path which runs down the slope to the left of the ruins. 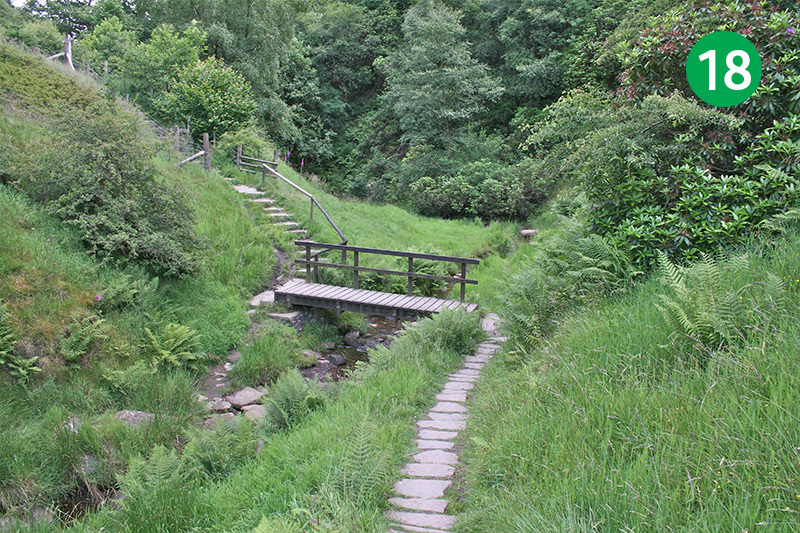 18: Cross the stream over a small footbridge, and turn right half way up the other side, along another footbridge. Follow this path all the way to the ruins of Errwood Hall. There’s lots of photos and information on this website about the hall, the Grimshawe family, as well all the fine buildings which were destroyed. 19: Once you’ve explored the ruins, continue in the same direction until you can turn left down another footpath. This was once the road that connected the hall with the hamlet of Goyt’s Bridge. Follow this track all the way until you can exit through a gap in the stone wall. 20: Head down the slope to return to Errwood Hall car park.